A view of the skyline in Singapore. 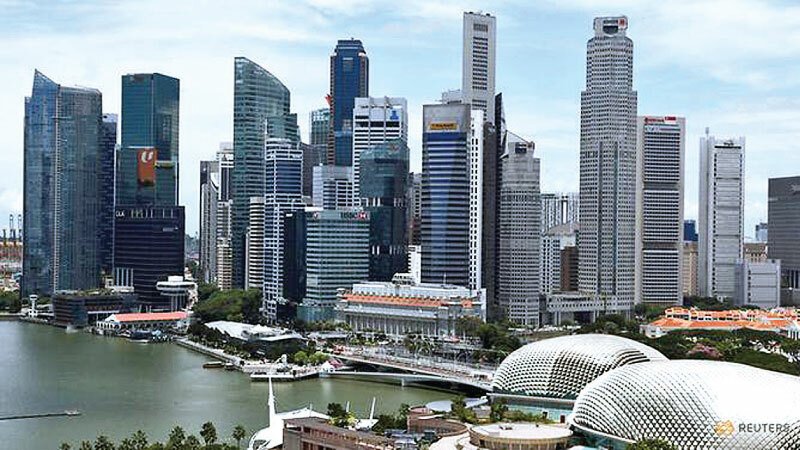 Despite significant uncertainties in 2019, investment commitments in Singapore are expected to be “sustained at 2018 levels”, the Singapore Economic Development Board (EDB) said on February 14. At its annual year-in-review briefing, the agency also outlined five priority areas for the year ahead, which include tapping on opportunities in ASEAN and the burgeoning digital economy. About S$8 billion to S$10 billion in fixed asset investments is expected to flow in this year, according to EDB. Total business expenditure (TBE) per annum, which refers to companies’ incremental operating expenditure including wages and rental, is forecast to be between S$5 billion and S$7 billion. These are estimated to create 16,000 to 18,000 new jobs. Last year, Singapore attracted S$10.9 billion in fixed asset investments, exceeding EDB’s forecast of S$8 billion to S$10 billion. TBE per annum was S$6.2 billion, within EDB’s forecast of S$5 billion to S$7 billion. When fully implemented, these projects will create 17,400 new jobs, also in line with expectations for 16,000 to 18,000 new jobs. The projects are expected to contribute S$13.6 billion in value-added per annum. These figures for 2018 reflect Singapore’s continued strength as a global business city and a manufacturing hub, said EDB’s chairman Beh Swan Gin. He noted that for the year ahead, there are significant uncertainties in the global operating environment and signs of softening in many economies around the world. Singapore’s economy is also likely to soften with the tapering of manufacturing growth, but the country’s investment pipeline will likely “remain resilient” through 2019, said Dr Beh. The EDB said it will have five key priorities this year, one of which is to position Singapore as a platform within ASEAN for global and regional companies to do business. With digitalisation unlocking new sources of growth and innovation, EDB will also focus on strengthening the country’s edge in advanced manufacturing and becoming the digital hub for non-manufacturing companies. The government agency said it will also continue to connect companies with institutes of higher learning here to establish corporate labs, while taking a more active role in helping companies with experimentation, commercialisation and venturing beyond Singapore. Lastly, Singapore can play a leading role in the area of autonomous vehicles and smart mobility – a new growth area thanks to technological disruption – given its advanced manufacturing capabilities and highly skilled workforce.